Half a century has passed since India took its first steps towards establishing a space programme of its own. The country’s first experimental satellite, Aryabhata, was launched from the Soviet Union in 1975 and the first successful satellite launch from within the country, using the SLV-3 rocket, followed five years later. On Sunday, the Indian Space Research Organisation celebrated its 100th mission with a flawless launch of the Polar Satellite Launch Vehicle (PSLV) from Sriharikota. Given the long association between the French and Indian space programmes, it was particularly appropriate that this landmark launch carried France’s SPOT 6 satellite. A deal in the mid-1960s to make a small French two-stage rocket (known as a sounding rocket) in India catalysed the development of solid propulsion capabilities needed for the launch vehicle programme. A decade later, another deal gave ISRO access to French liquid propulsion technology, which has gone into the PSLV’s second stage. The PSLV has become a rugged workhorse with 21 consecutive successful launches behind it. It has taken over 50 satellites and spacecraft into space, half of them for foreign customers. Since it became operational, the PSLV has carried all of India’s remote sensing satellites and also launched the country’s first lunar probe, Chandrayaan-1. The first Indian mission to Mars too will travel on its shoulders next year. With the PSLV, the country does not have to look abroad for launching its remote sensing satellites. But the same is not true with communication satellites. In contrast to the PSLV, the trouble-prone Geosynchronous Satellite Launch Vehicle (GSLV) has been hampered by delays in mastering the cryogenic technology required for it as well as other problems. Moreover, ISRO’s needs appear to go beyond the capabilities of this rocket, which was designed to carry two-tonne communication satellites. The Indian space agency has already launched three communication satellites weighing over three tonnes on Europe’s Ariane 5. A fourth satellite, GSAT-10, is to be carried on the Ariane 5 in two weeks’ time. Such foreign launches are expensive. In the case of the GSAT-8, which went into operation last year, it cost Rs. 300 crores to build the satellite and a similar sum went for its launch. The giant solid-propellant boosters and liquid-propellant core stage for the next generation GSLV Mark-III are ready and will be tested in an experimental flight. But this rocket, with the ability to carry four-tonne communication satellites, cannot be put to use till an entirely different cryogenic engine and stage have been perfected. That could take time. The Indian launch vehicle programme has a long way to go. August 6 should have been a day of somber reflection, not only on the terrible events of that day in 1945, but also on what they revealed: that in their dedicated quest to extend their capacities for destruction, humans finally found a way to approach the ultimate limit. This year’s August 6 memorials to the victims of Hiroshima have special significance. They took place shortly before the 50th anniversary of the Cuban missile crisis, “the most dangerous moment in human history,” in the words of historian and Kennedy advisor Arthur Schlesinger. Graham Allison writes in Foreign Affairs that Kennedy ordered actions he knew would increase the risk of nuclear war, with a likelihood of perhaps 50 percent, an estimate that Allison regards as realistic. Kennedy took Chairman Khrushchev “right to the brink of nuclear war and he looked over the edge and had no stomach for it,” according to General David Burchinal, then a high official in the Pentagon planning staff. One can hardly count on such last-minute sanity forever. Disaster was perilously close in 1962, and there have been extremely dangerous moments since. In 1973, in the last days of the Arab-Israeli war, Henry Kissinger called a high-level nuclear alert. India and Pakistan have come close to nuclear war. And there have been cases when human intervention aborted nuclear attack after false reports by automated systems. The events of October 1962 are widely hailed as Kennedy’s finest hour. Allison offers them as “a guide for how to defuse conflicts, manage great-power relationships, and make sound decisions about foreign policy in general.” In particular, today’s conflict with Iran. Allison joins many others in regarding Iran’s nuclear programs as the most severe current crisis–even more complex than the Cuban missile crisis, because of the threat of Israeli bombing. The attack against Iran is in fact already well underway, including economic sanctions that have reached the level of “undeclared war,” in the judgment of Iran specialist Gary Sick, who served on the National Security Council under Presidents Ford, Carter and Reagan. Consider, for another example, the Flame virus, revealed in mid-July, developed jointly by the United States and Israel, and used to secretly monitor Iranian computer networks. The Wall Street Journal reports that the Pentagon regards cyberwarfare as “an act of war” that authorizes the target “to respond using traditional military force” (though with the usual exception: not when the United States or an ally is the perpetrator). The escalation of the undeclared war against Iran increases the possibility of a large-scale war being sparked, even accidentally. The danger was illustrated when a U.S. Navy vessel, part of the huge deployment in the Gulf, fired on a civilian fishing boat July 16, killing one and wounding three. It would not take much more to ignite a major conflict. The Iran threat has recently been outlined by General Giora Eiland, who Haaretz describes as“one of the most ingenious and prolific thinkers the [Israeli military] has ever produced.” Of the threats he cites, the most credible is that “any confrontation on our borders will take place under an Iranian nuclear umbrella.” Israel might therefore be constrained from resorting to force. Eiland agrees with the Pentagon and U.S. intelligence, which also regard deterrence as the major threat Iran poses. One sensible way to avoid such dread consequences is to pursue, in the wording of U.N. Security Council Resolution 687 of April 1991, “the goal of establishing in the Middle East a zone free from weapons of mass destruction and all missiles for their delivery and the objective of a global ban on chemical weapons.” The U.S. and the U.K. invoked those words in their effort to provide a thin legal cover for their invasion of Iraq 12 years later. The goal has been an Arab-Iranian objective since 1974, regularly re-endorsed. It now has near unanimous global support, at least formally. An international conference to consider ways to implement such a treaty may take place in December. Progress is unlikely unless there is mass public support in the West. Failure to grasp the opportunity will, once again, lengthen the grim shadow that has darkened the world since that fateful August 6.
fiction only in the sense that some of his stories were set on other worlds or in alternate realities—there isn’t much science in them. What there is in abundance is a revelation of interior life and what he once described as an effort to prevent the future, which meant arresting the disturbing present. The threat of nuclear annihilation was part of that present, and so was the national nightmare of racial segregation and lynch-mob violence. In “The Million-Year Picnic,” a couple and their three sons land on Mars just as everything on Earth goes dark. The boys believe they are on a vacation trip, and when they ask to see the Martians, Dad shows them their reflection in the waters of a canal. Maybe humanity, as new Martians, can get it right this time. When I first read last year about the hapless farmers of Alabama and Georgia, whose workforce of skilled but undocumented pickers had departed en masse ahead of the new laws that would have got most of them jailed and deported, something clicked. The farmers were complaining that legal locals just couldn’t hack it. Wayne Smith, a tomato grower in northeast Alabama for 25 years, told the AP he’d never been able to keep a crew of American workers for any length of time. “People in Alabama are not going to do this,” Smith said. “They’d work one day and just wouldn’t show up again.” Millions of dollars worth of crops were going to rot in the fields. That news from Alabama brought me back to 1952 when I was 12, addicted to EC Comics, from Weird Science and Mad to The Vault of Horror and Tales from the Crypt. In the early 1950s, EC began publishing illustrated stories by classic writers of gothic fiction, such as Ambrose Bierce and Edgar Allan Poe (safely dead and in the public domain), as well as the living, breathing, 30-ish and copyrighted Ray Bradbury. After the first of these appeared, Bradbury sent the publisher a pleasant note saying that his check must have gone astray. EC apologized for the misappropriation, sent him some money and a contract, and over the next few years published about a dozen illustrated Bradbury stories. I’m pretty certain one of those stories was titled (in its comic book form) “The Day the Negroes Left the Earth.” In his short-story collection The Martian Chronicles, the title is “June 2003: Way in the Middle of the Air,” which was first published with that title in the magazine Other Worlds in July 1950. Like “The Million-Year Picnic,” “Way in the Middle of the Air” looks to a new beginning. Samuel Teece, proprietor of a hardware store somewhere in the South, is on the porch of his shop with Grandpa Quartermain and some neighbors, and one of them asks if he’s heard about it. The Obama administration’s overzealous ICE raids and deportations, Arizona’s “papers please” law of 2010, and the even more aggressive anti-immigrant laws passed last year in Georgia and Alabama, all seem to have brought the system to the point of collapse. South Carolina, apparently gripped by Antebellum nostalgia, tried to escape a similar fate this year by carving out exemptions for faithful field laborers and household servants, which would seem to defeat the original purpose of the law requiring employers to verify the immigration status of all new hires. Even in the Pacific Northwest, migrant workers are avoiding chance encounters with the authorities: In Washington state, third-generation grower Al Robison told CBS News correspondent Ben Tracy last fall that for all the unemployed people in the area, he still can’t get “American” workers—Tracy’s word—to pick the required 8,000 pounds of apples, per person per nine-hour day, for $150. (I wonder why?) The state’s apple crop, worth $1.4 billion a year, might not survive long term, said Bruce Grim, state ag-industry executive who wants an expanded official guest-worker program. 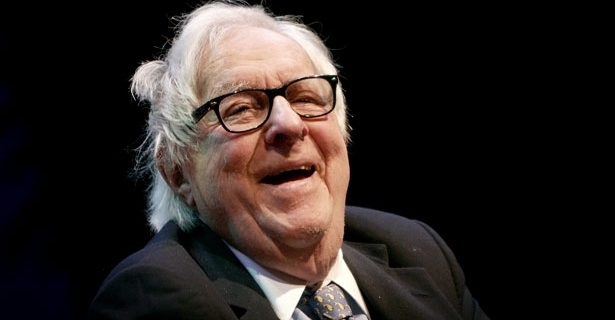 As Bradbury sensed in 1940s Dixie—the only change in his 2003 setting seems to be the availability of rocket travel—the old order is once again under tremendous strain. Voting citizens who get hassled on the highways and whose non-citizen friends, relatives, and co-workers have been deported or slammed into ICE detention, are mad as hell—not exactly fired up and ready to go for Obama. The businesses—agriculture, construction, landscaping and others—long dependent on cheap, reliable immigrant labor, will now have to fight their right-wing allies to reverse policy or somehow convince “American workers” to take on hard manual labor for Third World wages. Moreover, we are fortunate that these fragments survived because they provide us with searing glimpses into the nature of the Nazi occupation of Poland. As Shallcross compellingly shows, Szlengel, Ginczanka, Nałkowska, Miłosz, Andrzejewski, and Borowski all focused on the wartime fate of ordinary material objects in especially intense and vivid ways. They wrote about the seizing, sifting through, recycling, and abandonment of things, the detritus of genocide–sheets, desks, dishes, tables, shoes. In so doing, these early scribes of the Holocaust created some of the first attempts to represent the Nazi murder of European Jews. As Shallcross writes: “I believe that the nature of this genocide is representable, even though those who lived through it, and first spoke of it, were given no real opportunity or time to master strategies of representation that would express their experience. This representation occurs more vividly when the Holocaust experience is evoked through ordinary objects” (p. 11). Two early writers of the Holocaust, along with Shallcross’s illuminating analysis of them, struck me most powerfully. The first writer is little known outside the field of Polish Jewish studies. Born in 1917, Zuzanna Polina Gincburg, who published under the pen name of Zusanna Ginczanka, was a noted poet in Warsaw’s interwar literary scene. When the Nazis invaded Poland in 1939, she fled to her hometown of Równe and then to Lwów, before ending up in Kraków, where she was executed in December 1944 in a Gestapo prison courtyard. While Ginczanka wrote little during the war, her untitled poem of 1942, which somehow made it to a childhood friend who submitted it for publication in 1946, wrenchingly tells of plundering and death in Ginczanka’s own bedroom. The ordinary objects of her bedroom function as props of murder. Ginczanka’s enumeration of her things in the poem, as Shallcross puts it, “becomes so intense that the reader can feel [them] almost tangibly” (p. 44). And yet this is not a poem of self-pity; it is one, rather, of jouissance in Shallcross’s reading. Ginczanka secured an uncanny victory over her perpetrators; she endowed her Polish neighbors–whom she called “my dear ones”–with the inheritance of permanent guilt for their participation in looting and murder, a guilt to which her blood-soaked goods would remind them long after the war had ended. And will suddenly transform the winged to angels (p. 38). Shallcross has rendered Ginczanka’s poem into English for the first time; the poem will now receive the broader audience that it most certainly deserves. Borowski is the second early writer of the Holocaust whose poetry Shallcross examines with particular force. While Borowski has received no shortage of attention, Shallcross provides fresh analysis of his work. She examines, among other themes, the loss of tactility in his writings, analyzing the ending to Borowski’s “A Day at Harmenz.” Borowski concluded this story with the image of Becker, an older Polish Jewish prisoner who is near death, struggling to feel his way to his last meal. Becker is “vainly groping with his hand for the board to pull himself on to the bunk,” Borowski wrote (p. 117). Shallcross argues that Borowski articulated here the Nazi destruction of the human body and its sense of touch. He revealed a process of degradation that ended with the body turning almost into an object. In Borowski’s words: “I stared into the night, numb, speechless, frozen with horror. My entire body trembled, and rebelled, somehow even without my participation. I no longer controlled my body, although I could feel its every tremor” (p. 125). Shallcross has written an erudite book that provides novel insights into a broad range of themes, including memory, representation, ethics, the human senses, and Polish Jewish relations. From my perspective as a cultural historian of memory and of the Holocaust, I see her book making two key interdisciplinary contributions. First, Shallcross labors, in many ways, as a cultural historian as much as she does as a literary scholar. Her analysis of Polish and Polish Jewish responses to the Holocaust as it was taking place (or just shortly after it ended) vividly reconstructs the Nazi destruction of Polish Jewry and the distinct literary encounters with human violence that the Holocaust engendered. Her book marks a significant addition to the historiography of the Holocaust. Second, Shallcross’s work enriches our understanding of early Polish and Polish Jewish responses to the Holocaust. Analyzing Miłosz’s poem “A Poor Christian Looks at the Ghetto,” she pauses to reflect on the significance of its creation: “To my knowledge, no non-Jewish author who lived under the terror of the Nazi rule would have signed an audacious poetic document of this caliber. The fact that Miłosz kept his poem close to him, in a suitcase, demonstrates an incredibly high level of both self-awareness and ethical conscience fused with a sense of responsibility” (p. 83). In analyzing the artifacts of writers who took up the ethical and precarious charge of testifying to the destruction engulfing and surrounding them, Shallcross has written an important book. That the United States may soon have to ration health care resources, including mental health services, will almost certainly require its people and governments to take into account the needs of adult prisoners, civilly committed mental hospital patients, and a growing number of juvenile offenders committed to the care of the states. The questions of whether public resources are being used effectively in behalf of juvenile justice, and whether they can be used more efficiently, are of crucial importance at this time. Who Gets a Childhood? by historian William S. Bush illuminates the historic mistreatment and outrageous abuses of poor African American, Latino, and white youth in the training schools of twentieth-century Texas. Equally important, the book makes an argument in behalf of a constitutional “right to treatment” that would provide mental health rehabilitation services for juveniles committed to state custody. Bush thus makes a distinctive contribution to the history of racial discrimination and juvenile injustice in a multicultural southern state. Furthermore, his juvenile justice reform advocacy rekindles decades-old moral and political debates that implicate directly the currently strained budgets of numerous states and the federal government. Writing in response to the 2007 sexual abuse scandal at the West Texas State School near the tiny town of Pyote, Bush tells the 120-year story of the Texas juvenile justice system that spawned this notoriously dysfunctional institution. Organized into seven chapters and an epilogue, Who Gets a Childhood? seeks to explain how Texas’s regime of juvenile justice reached its current position as one of the more controversial systems in the United States, while also advocating aggressive juvenile justice reform across the nation. Examining closely the experiences of African American, Mexican American, and Euro-American girls and boys in the Texas training schools, which racially segregated inmates into the 1960s, Bush unpacks the historic relationship between race, juvenile justice, and, importantly, competing understandings of childhood. In this account, the history of the Texas juvenile justice system, which began in 1889, is marked by a cyclical pattern of abuse and scandal–from humanitarian reforms in the 1910s, 1940s, and 1970s, to juvenile crime panics and “get-tough” “law and order” crackdowns in the 1950s and 1960s and from about 1985 to 2009. Public fears of “teenage terrorists” at the height of the Cold War and of “super-predators” in the Ronald Reagan era and early 1990s generated the growth of expensive and remote lockdown facilities, which failed to deter juvenile crime but unleashed unconscionable physical and psychological abuses on inmates. This was so notwithstanding the fact that, since the 1940s, experts had reached a consensus on the superior effectiveness of smaller, community-based, rehabilitative programs. Texas consistently failed to sustain its periodic reform efforts–a pattern Bush attributes most to a widespread willingness to view juvenile offenders as fully responsible adults. He also argues that the inadequacies of the Texas system have been a consequence of structural necessity; white racism; the ideological commitments of administrators; the resistance of juveniles placed in state custody; recalcitrant townspeople who staffed, ran, and protected the institutions; legislators who were generally hostile to expenditures for juvenile delinquents they deemed morally suspect’ and the transience and disorganization of child advocates, at least until the 1970s. William S. Bush. Who Gets a Childhood? Race and Juvenile Justice in Twentieth-Century Texas. Politics and Culture in the Twentieth-Century South Series. Athens: University of Georgia Press, 2010. Illustrations. x + 257 pp. $69.95 (cloth), ISBN 978-0-8203-2983-3; $29.95 (paper), ISBN 978-0-8203-3719-7; $24.95 (e-book), ISBN 978-0-8203-3762-3. 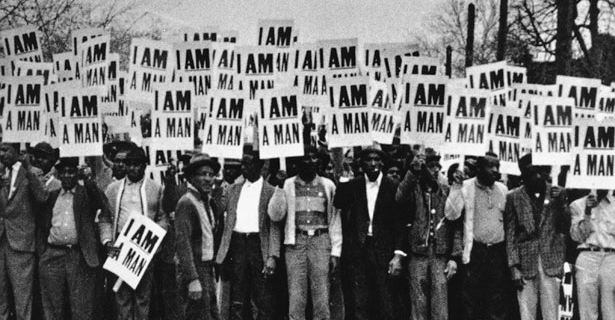 Sanitation workers assemble at the Clayborn Temple in Memphis, Tenn., on March 28, 1968. A 2010 report from the society urged the government to invest in science, education and innovation to fuel economic development. It generated much press. But the global economic downturn thrust a dagger to the heart of its most ambitious proposals. Yet doubt of a more genteel sort lingers even among members. A current society fellow, an evolutionary biologist of fine repute who asked not to be quoted by name, says he greatly enjoys the conversation at the society’s dinners (he fortifies himself for the rounds of wine and port by drinking a quart of milk beforehand). But ask if the organization has much effect on the intellectual battles that roil his discipline, and he shakes his head. At the beginning, the question facing society fellows was more elemental: How to challenge a worldview in place for thousands of years?